Chloë Hanslip (b. 1987) has already established herself as an artist of distinction on the international stage. Prodigiously talented, she made her BBC Proms debut in 2002 and her US concerto debut in 2003, and has performed at major venues in the UK (Royal Festival Hall, Wigmore Hall), Europe (Vienna Musikverein, Hamburg Laeiszhalle, Paris Louvre and Salle Gaveau, St Petersburg Hermitage) as well as Carnegie Hall, Metropolitan Arts Space in Tokyo and the Seoul Arts Centre. Her performances have included the Symphonieorchester des Bayerischen Rundfunks, Philharmonia Orchestra, Royal Philharmonic Orchestra, London Philharmonic, Beethoven Orchester Bonn, Bern Symphony Orchestra, Bremen Philharmonic, City of Birmingham Symphony, Royal Liverpool Philharmonic, BBC National Orchestra of Wales, Lahti Symphony, Moscow State Symphony, Norwegian Radio, Real Filharmonia Galicia, Vienna Tonkünstler Orchester, Hamburg Symfoniker, Czech National Symphony, Orchestra Sinfonica Nazionale della RAI, Orchestra Regionale Toscana, Helsingborg Symphony, Royal Flemish Philharmonic and the Tampere Philharmonic Orchestra. Further afield her engagements include the Cincinnati Symphony, Detroit Symphony, Houston Symphony, Tokyo Metropolitan Symphony, Malaysia Philharmonic, Adelaide Symphony, Auckland Philharmonina and the Singapore Symphony Orchestra. She has collaborated with conductors such as Sir Neville Marriner, Sir Andrew Davis, Mariss Jansons, Paavo Järvi, Charles Dutoit, Michail Jurowski, Xian Zhang and Hannu Lintu. Highlights of the 2018-19 season include concerto performances with the Helsinki Philharmonic, Bournemouth Symphony, Orchestra Filarmonica di Torino, Eugene Symphony and a six date UK tour with the Russian State Symphony Orchestra. 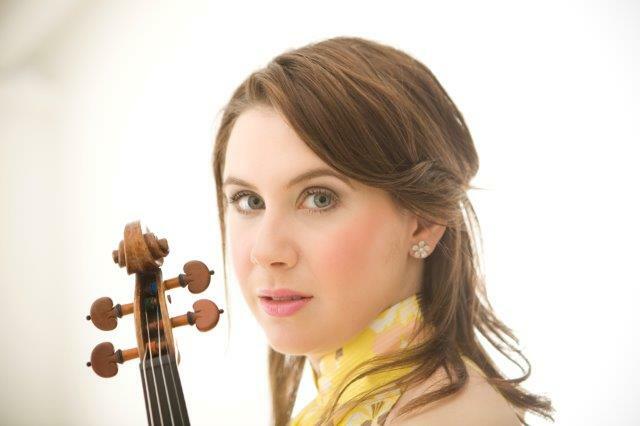 With her duo partner Danny Driver, she performs recitals at Bath Mozartfest and LSO St Luke’s.